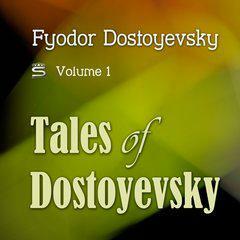 Dostoyevsky is the only psychologist from whom I had something to learn', remarked Friedrich Nietzsche. 'He ranks among the most beautiful strokes of fortune in my life'. Discover the universal truths and wisdoms of Dostoyevsky in this volume of Dostoyevsky's tales including: An Honest Thief, The Heavenly Christmas Tree, The Peasant Marey. Read in English, unabridged.